Maxime Smakman, the box-owner of Crossfit Naarden, is giving us a little insight into what happens at his BOX! Enjoy another episode of our Europewide BOX interviews. A friend took me with him to try it and I immediately got the ‘Crossfit addiction’. I was working in the sportsindustry for many years and I became a personal trainer. When I got to know Crossfit I became addicted very soon. It was a logical result that I wanted to do more with it. The sport is really upcoming in the Netherlands so as a result I started my own box. 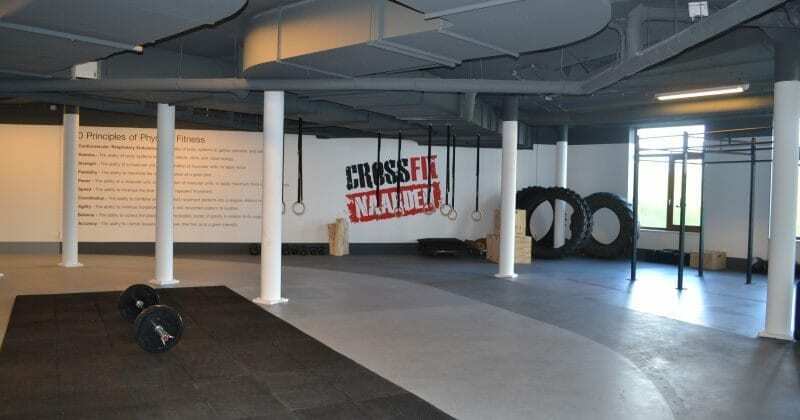 CrossFit Naarden has a very unique location. We are surrounded with a green environment and a lake that gives us the opportunity to organise great outdoor workouts, which include running, tire flips, swimming and much more. The structure of our members looks very varied. We have male members as well as female members and they come in all ages. There are students, members who are about thirty and fourthy years old, but also older members. We also have great athletes who are very competitive. Yes, we have kickboxing lessons and in the future we are giving yoga lessons and kids club. Yes, we collaborate with a dietitian, who can provide our members with information about nutrition. This way our members will be able to achieve the best results. Your first lesson you will be introduced with how we operate and we will teach you the basis. The first lessons can be pretty intense, but once you are coming more often you will see that you are growing and that your results are improving. Yes, we organize various events. For example, we are hosting a weightlifting competition this month in collaboration with Dutch Strength. We know each other and sometimes we drop in by the boxes. But further we do not have links to other boxes. Yes you can, though it will be better if you give us a call in advance, so we are prepared that you are coming. You can reach us on the following number: 0629430055.